I’ve been going through various theories that others have put up. It is hard to believe in one, and reject another truly. 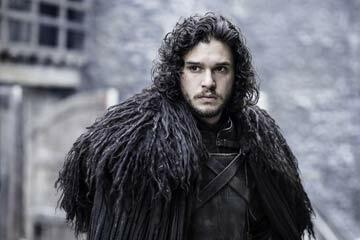 However what I think is that in the End Jon Snow is not going to be fighting for any side, neither favoring any. My points in this favor are as follows. Since the series is titled A Song of Ice and Fire, and as it has been mentioned many times in the books itself it is basically about a conflict between two opposite entities. What does Ice represent. 1. The others, 2. The Starks, 3. The north, 4. Direwolves and 5. Ice of course. And, what does Fire represent 1. Red god, R’hllor, 2. The Targs, 3. The south, 4. Dragons and 5. Fire. Now, let’s consider R+L=J theory is true. It would mean Jon has blood of both Targs and Starks. I wouldn’t know which side to call evil and which one good. But, whichever the case is, Jon having two opposite blood lines clearly means that he is not going to lead a particular side, without neglecting another side which is technically his own too. Thus, I don’t see him as the Champion of the great Other, whose name must not be taken, nor a champion of R’hllor. He might ride a dragon, or warg it, he might have some power over the others and wights too. He might be able to wake a sleeping Ice Dragon using some antique horn, but he shouldn’t be restricted to favoring a single side as such. He might be the AA or TPTWP. In the end, I believe his purpose is not to finish off the others riding a dragon, nor to finish the dragons while being the great other’s champion but it is to find some way to put an end to this conflict for once and all. Either lead both (Others & R’hllor) of them to their destruction, and make them sign a treaty of peace that should last forever.